Charlotte will rescue her sister, Anna, and nothing will stop her. Not abusive uncles. Not crazy bus drivers. Not wolves that might be humans. Not ravens that might be murderers. Not trees that might be vampires. But when Charlotte fails to save her sister, when she is taken from existence herself, she must cross the only thing keeping our world safe from changeling danger: The Wall. From Wisconsin to… someplace else, where all of creation is a predator seeking her heart, where her sister lies… somewhere. 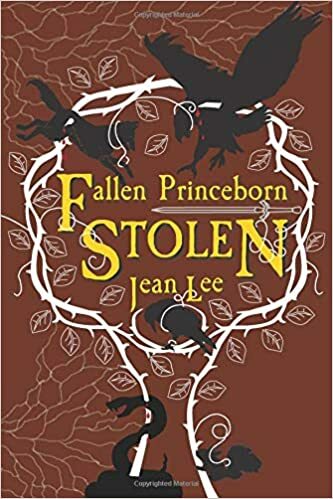 Fallen Princeborn: Stolen is the first in a series of YA dark fantasy novels by Jean Lee, and it starts with menace. Charlotte reminds me in all the best ways of Miriam Black, the broken protagonist of Chuck Wendig’s Blackbirds. The opening scenes on a bus and immediately following drip with weird danger that caught my attention and didn’t let up. I love how Lee took what could have been a fairly standard “Fae” race and made it her own. I’m stunned with the originality; she balanced “familiar” and “different” perfectly. You might guess where she’s going as the supernatural shenanigans begin, but you’d probably be wrong. Her characters pop as well. Arlen, the noble protector, has that perfect balance of being a welcoming presence and yet holding back something dangerous within himself. Poppy has this manic crazy feel, as of Harley Quinn slipped into a fae story. However, some of the characters are… too much in character for me. I found myself wanting to strangle Charlotte, our protagonist, more than once. She has a chip on her shoulder that keeps her from trusting anyone (which does become a major plot point), but that refusal got to be a bit tedious after a while. However, we really get inside Charlotte’s head – the chip on her shoulder is perfectly in character, and we know why she does what she does every time. Her self-talk creates an endearing character, even through the annoying tendencies to punch people. It reminded me of my love and frustration with Katniss in Hunger Games, actually. If you’re looking for a good, complete story, you’ll find it here… kind of. The ending felt to me more like the pilot of a TV show: Setting up all the various plots that will be followed for the rest of the season. They do entice, but it didn’t feel like the first volume in a book series to me. So yes, it definitely tells a complete story, but it also very directly leaves a lot of threads unaddressed. That said, the book isn’t short. You won’t be walking away unsated; it is a big chunk of good writing that will keep you entertained and rooting for the protagonist. You will know Charlotte and her new companions well before the end of the novel. Overall, despite my criticisms, this is a solid novel and well worth your time. The originality of the world shines, and the menace is palpable, particularly in the opening and closing chapters. Check it out.